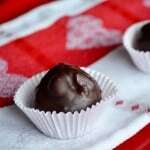 Home » Desserts » Italian Chocolate Kisses aka Baci! Italian Chocolate Kisses aka Baci! Ahh, chocolate. As I sit here and appreciate this confection of chocolate, hazelnut, and nutella, I decide to have another one of these Italian Chocolate Kisses. The whole process starts with melting butter with chocolate. 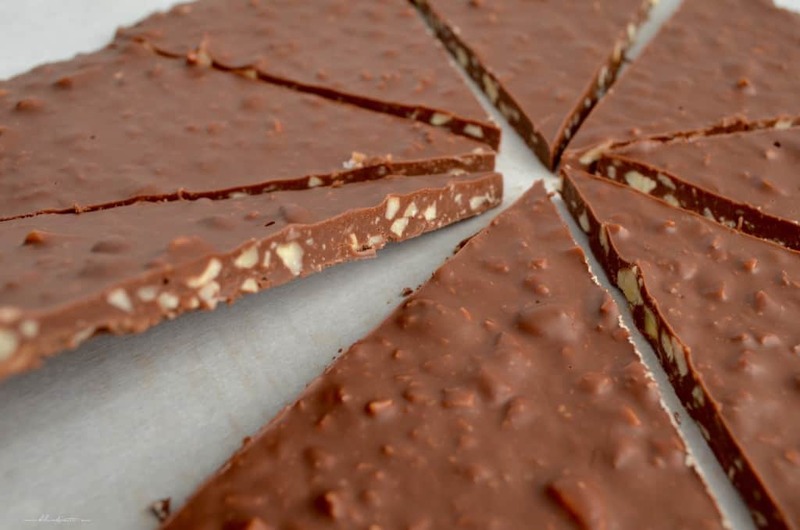 Once everything is melted, incorporate the chopped hazelnuts and nutella and cocoa powder. Spread on a cookie sheet which has been lined with parchment paper. Place the pan in the freezer. One hazelnut gets placed on top of every mound. As you can well imagine, these little gems get a dunking. I used dark chocolate for this step. According to some members of my family, they were better than the original! A colleague of mine, Tony, shared his favourite recipe for these decadent confections, adapted from Misya. There are many variations floating around the internet, if you’d prefer to do some Googling yourself. You don’t have to be a chocolatier to make these Homemade Chocolate Hazelnut Kisses. Fun to make and a pleasure to eat! Treat yourself and your loved ones for Valentine’s Day. 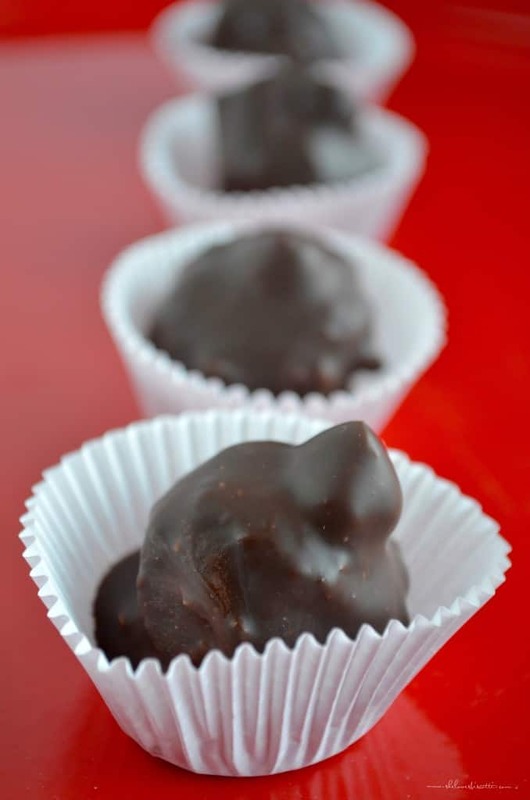 You don't have to be a chocolatier to make these Homemade Chocolate Hazelnut Kisses (aka baci). Fun to make and a pleasure to eat-treat yourself and your loved ones. 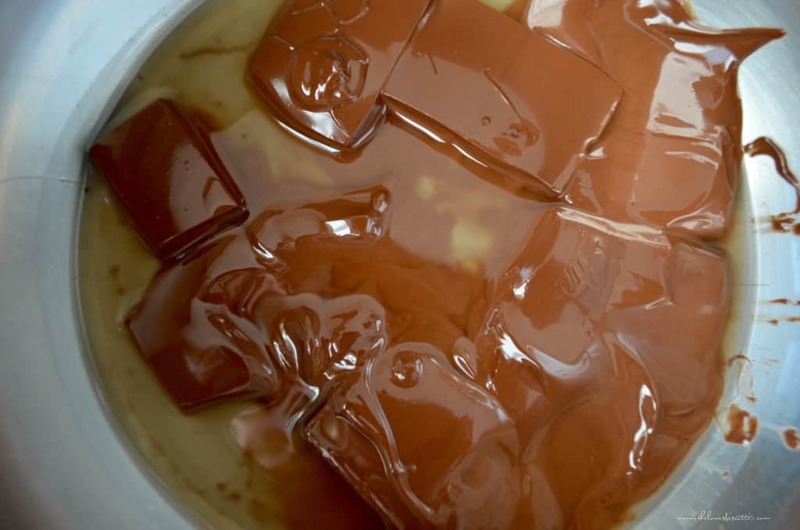 Melt milk chocolate with butter in microwave or on top of double boiler. Remove from heat and add cocoa powder, chopped hazelnuts, and Nutella. Pour the whole mixture on the parchment lined baking sheet. Place in freezer for about 15 minutes or until firm. Roll into balls (about 1 inch). Top each ball with one whole hazelnut. Place on parchment paper and back in the freezer for about 5 minutes. 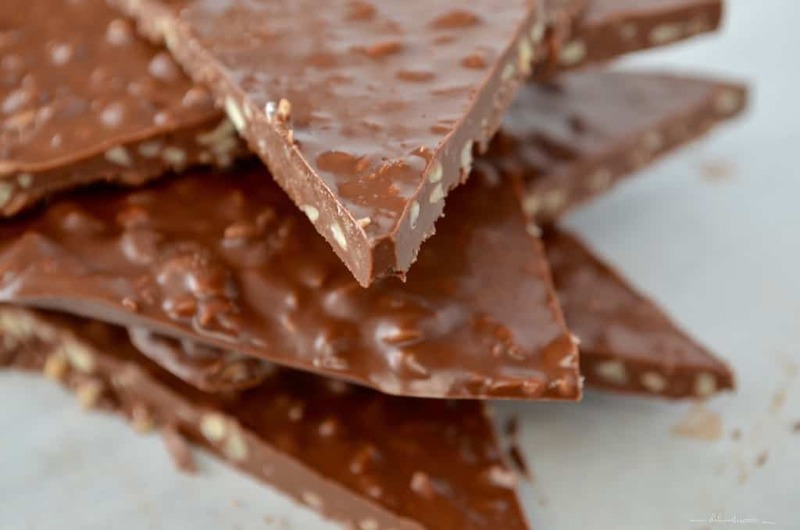 Melt dark chocolate in double boiler. Remove from heat. Dip frozen chocolate balls in chocolate. 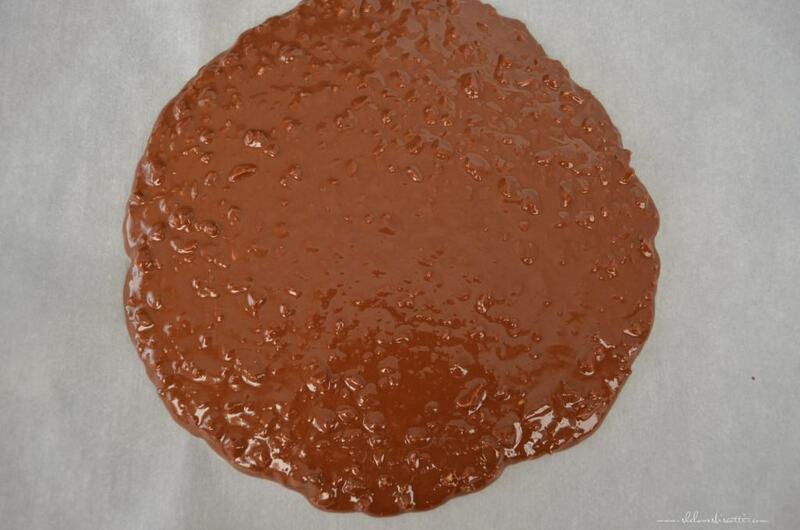 Place on parchment lined baking sheet and wait for chocolate to dry. You might consider using gloves when rolling the chocolate mixture into balls...it does get a little messy. I love these treats! Hazelnut and chocolate is my weakness!